I walked by this nondescript poster a million times on the back of a door in the teacher’s lounge. Nothing about it said kids or teaching or school. 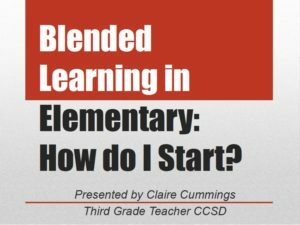 So one day, I finally read it: “Online & Blended Teacher Certification Program.” I needed some courses to complete my master’s plus 32 credits so I decided to look into the program. Naturally, the courses were all online. And it was love at first click.